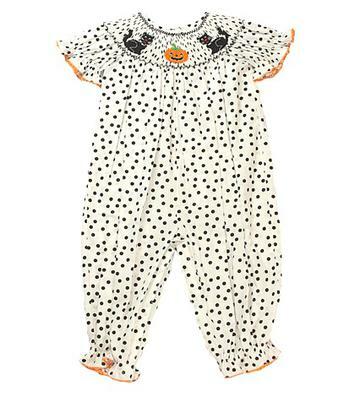 This outfit screams halloween favorite! 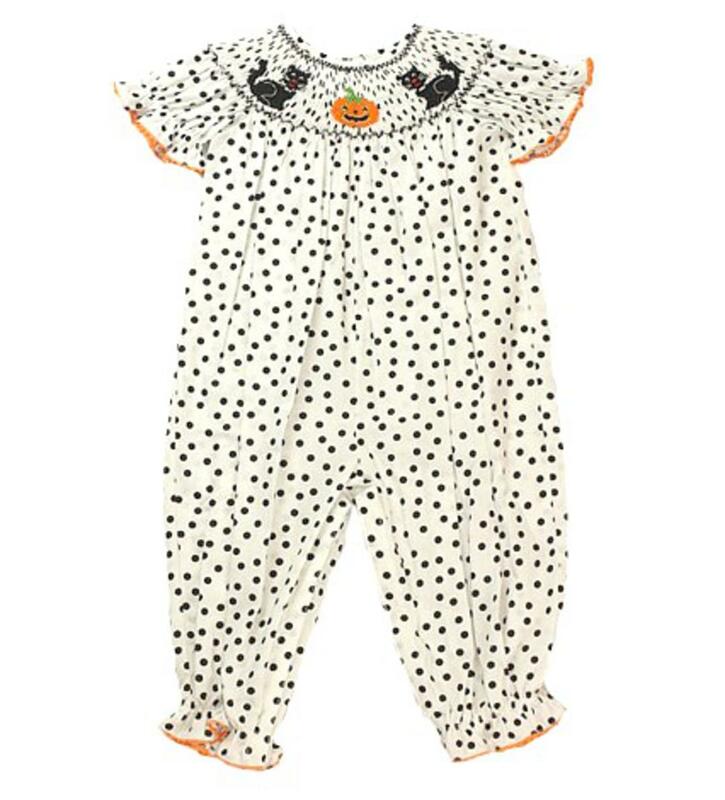 The white and black polka dot long bubble is handsmocked around the neck with two black cats and one orange pumpkin in the middle. There is ruffles and an orange trim around the sleeves and ankles. This adorable bubble is 100% cotton.